Here is a super simple recipe that comes together quickly for a busy school or work night or a Sunday night supper. It is packed full of protein, vitamin B12 and iron and is a good source of fiber. Who knew that a nutrient packed dinner for your family could be so easy? Let’s make Chinese take out at home, shall we? We used a wok, but you can certainly use a skillet. Toss your veggies into the pan. 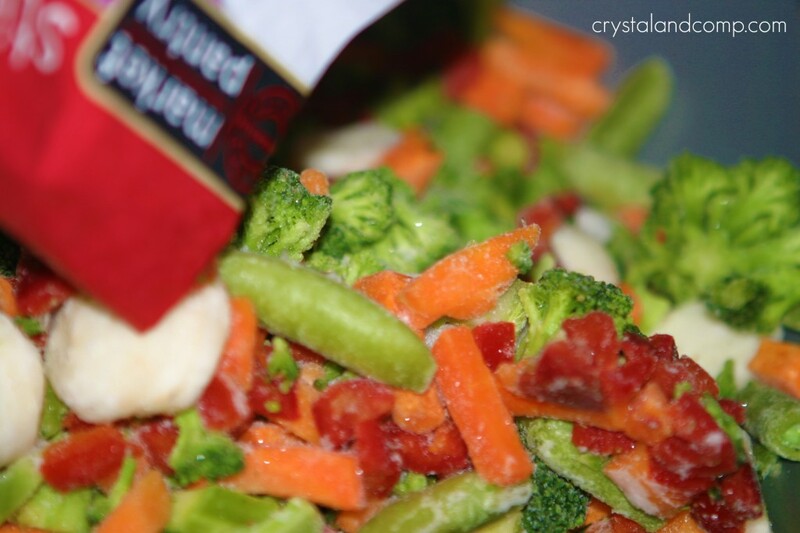 I used frozen because it was convenient, but you can certainly use fresh veggies. Add the water as well. Cook the veggies over a medium heat until they are crisp and tender. Cover if you’re using a skillet- for our wok that was not an option. 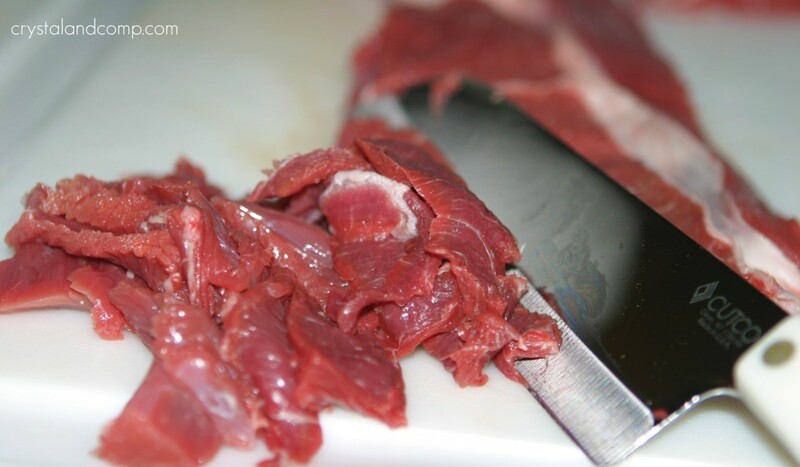 While the veggies are going, slice your steaks into thin strips. 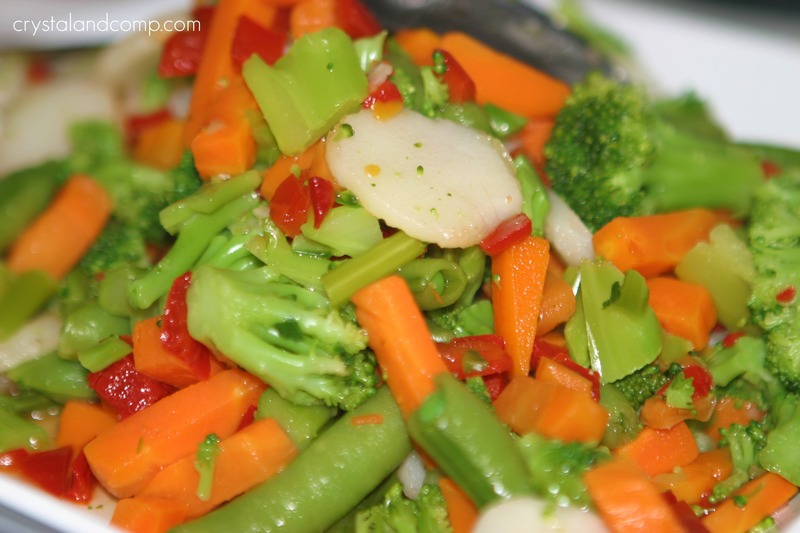 Once the veggies are tender, remove them from the skillet or wok and set them aside. 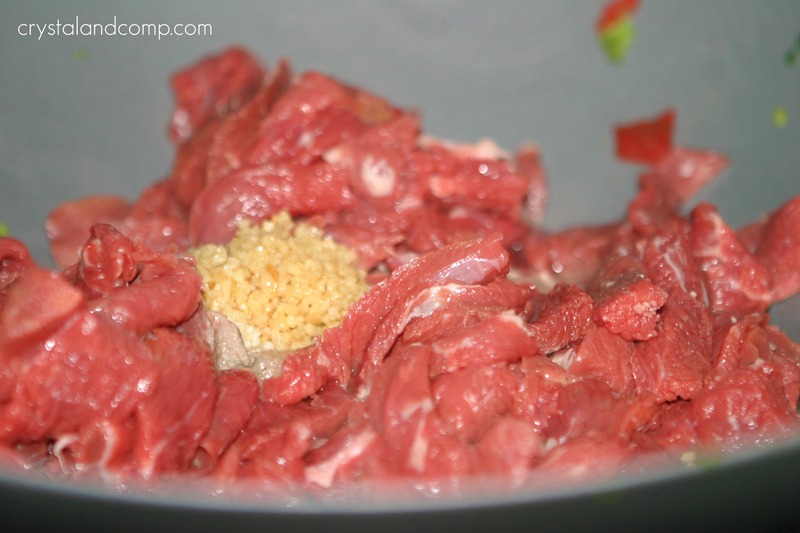 Toss the beef and garlic into the skillet or wok and cook until no longer pink over a medium high heat. Once the meat is no longer pink, add the veggies back in. I only did about half of the amount since little kids were eating as well. Add the stir fry sauce. Continue to cook over a medium heat until everything is well combine and thoroughly heated. About 5 minutes. Serve the stir fry over steamed rice. Top with peanuts, if desired. 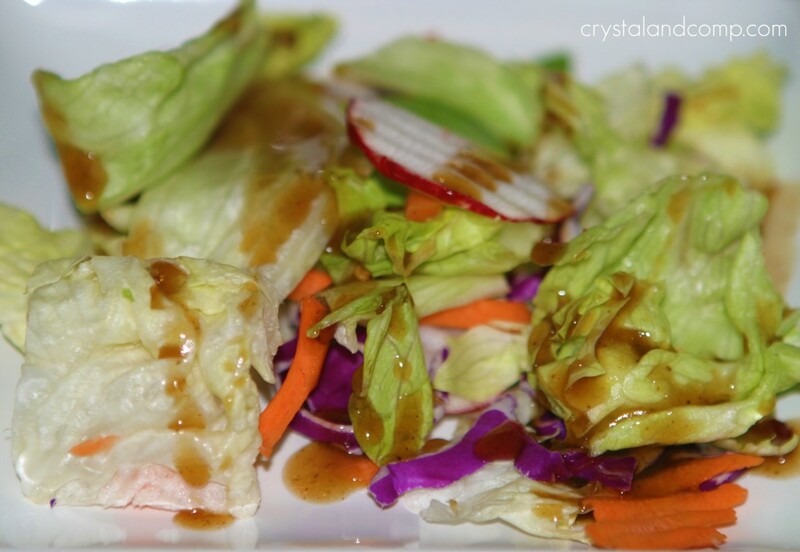 We also had a delicious side salad with an Asian Sesame dressing. It was an amazing combination and dinner was done in less than 30 minutes. I am so excited to bring you four weeks of delicious beef dinner ideas courtesy of the Texas Beef Council. They are passionate about educating consumers about their beef and the journey from farm to fork. This Szechuan Beef Stir Fry can also be found on their website. On Tuesday, March 6th from 8-9 pm central time, Texas Beef Council will be hosting a Twitter party sharing more healthy beef meals, tips and pointers. Mark your calendar. You will want to follow the hashtag #txbeef. Here is a super simple recipe that comes together quickly for a busy school or work night or a Sunday night supper. It is packed full of protein, vitamin B12 and iron and is a good source of fiber. Who knew that a nutrient packed dinner for your family could be so easy? We used a wok, but you can certainly use a skillet. Add the water as well. 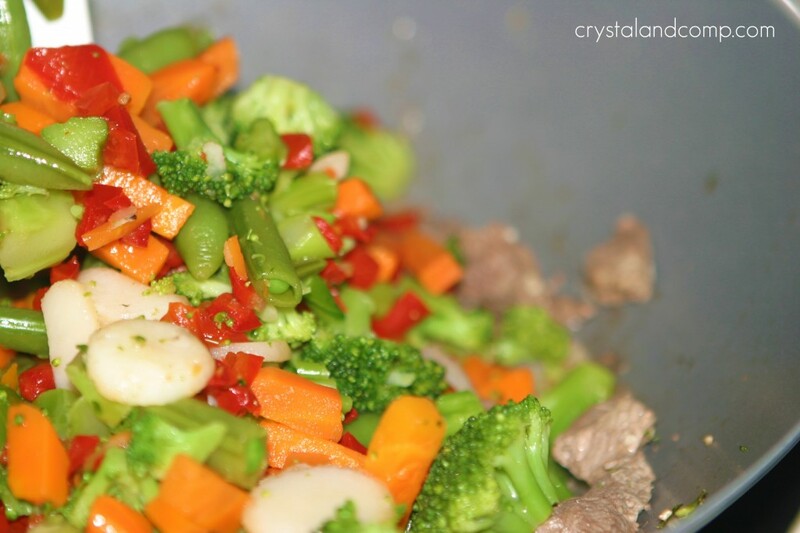 Cook the veggies over a medium heat until they are crisp and tender. Cover if you're using a skillet- for our wok that was not an option. Once the veggies are tender, remove them from the skillet or wok and set them aside. Discard any leftover water. Add the crushed red pepper. I only did about half of the amount since little kids were eating as well. 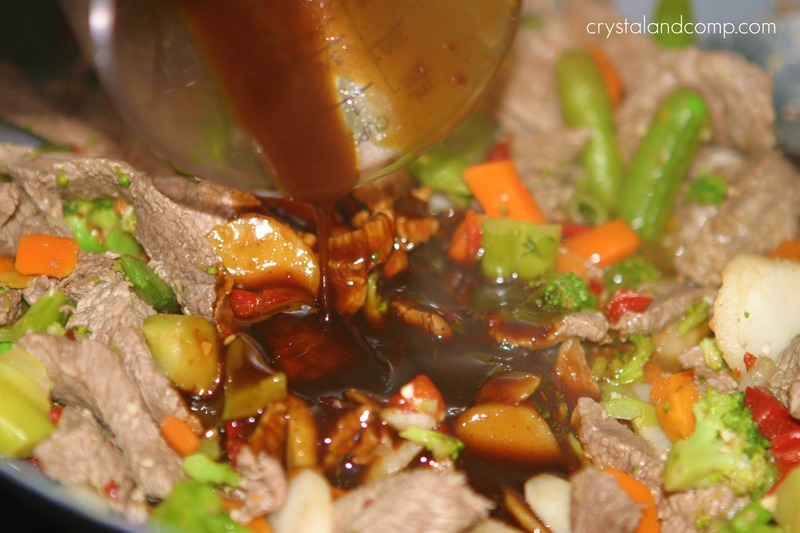 Add the stir fry sauce. Mix well. 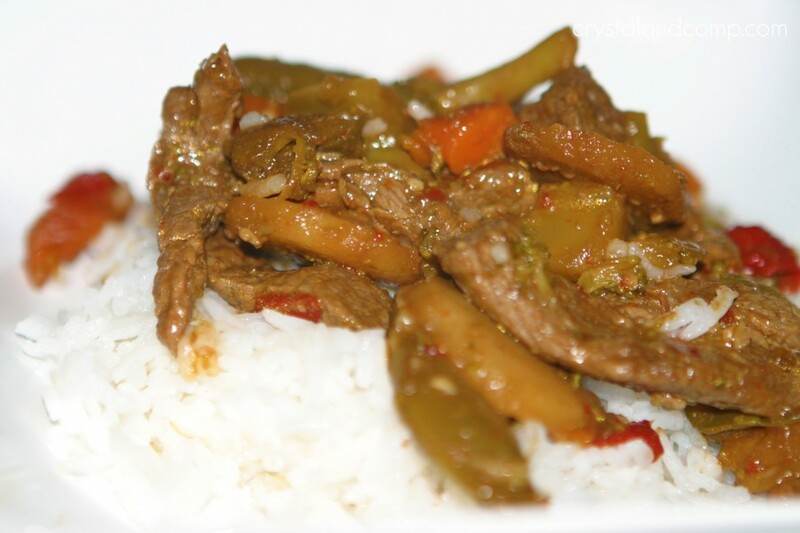 Serve the stir fry over steamed rice. Top with peanuts, if desired. This looks so easy to make! What a great recipe for a busy weekday dinner or lunch! 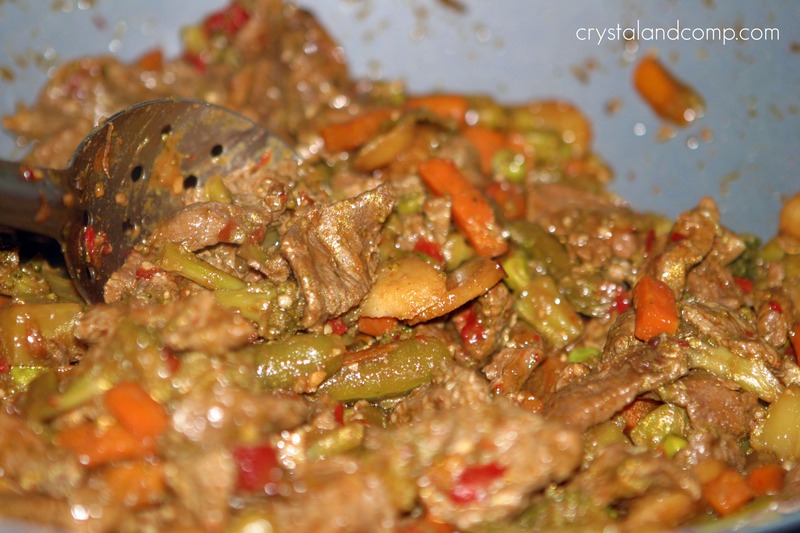 I love beef stir fry!!! Yours sounds so good!! 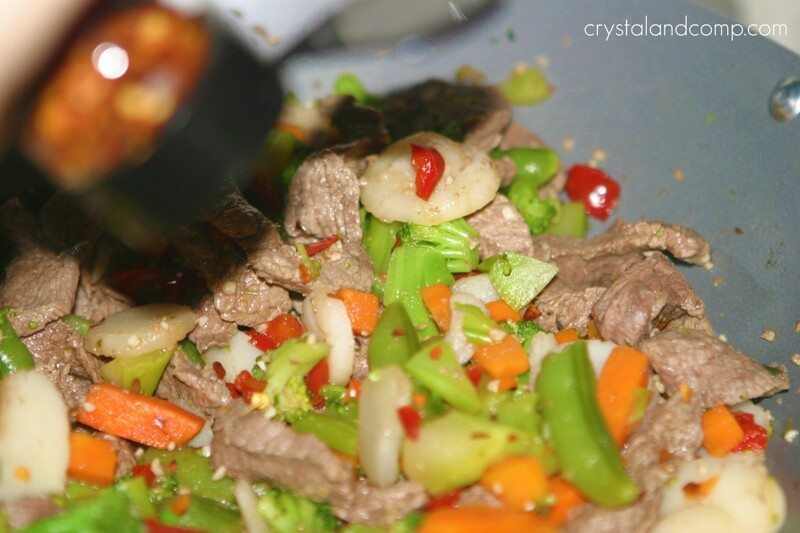 We just love a great stir fry and your recipe looks awesome! We would really enjoy it. Hope you have a great week and thank you so much for sharing with Full Plate Thursday.